(HI-015-C) 15 or 45 Series Slotted Universal Door Hinge w/slotted holes. 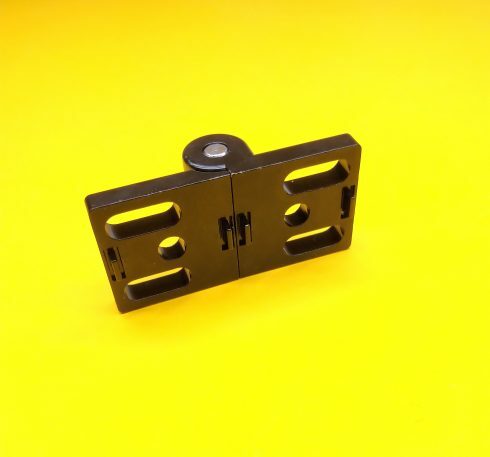 The hinge measures 3.15″ x 1.575″ x 0.8″ thick. The distance between the two holes is 0.95″, the slots are Ø0.327 x 0.512″ long (center to center). 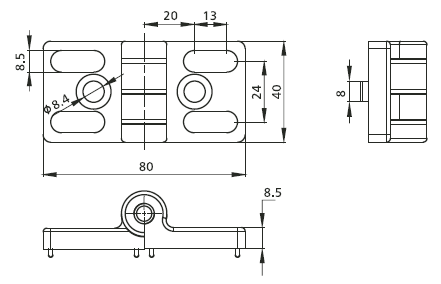 The thickness of the hinge is 0.315″. 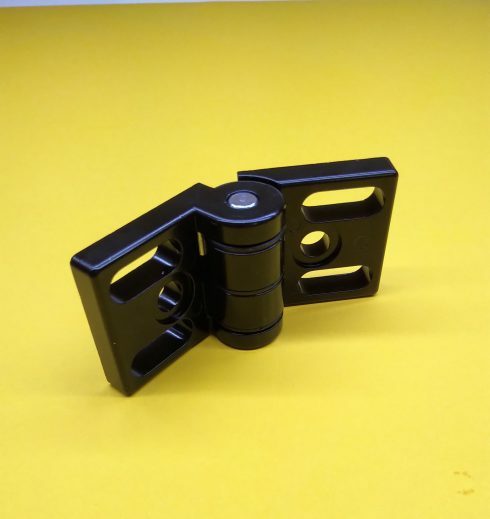 The hinge is Die-Cast w/black powder coating. Heavy Duty, and can mount to panels and/or extrusions.